Peruvian Cuisine, one of the most unique gastronomic experiences in the world. Machu Picchu's menu has a variety of dishes from the typical Ceviche, Lomo Saltado, Arroz con Mariscos and a great selection of steaks. Peruvian tamale with pork wrapped in a banana leaf. bolied potatoes topped with an aji amarillo cheese sauce. fried stuffed potato filled with beef. white beef tripe on the grill. two beef heart or chicken skewers on the grilled. fried calamari and salsa criolla. 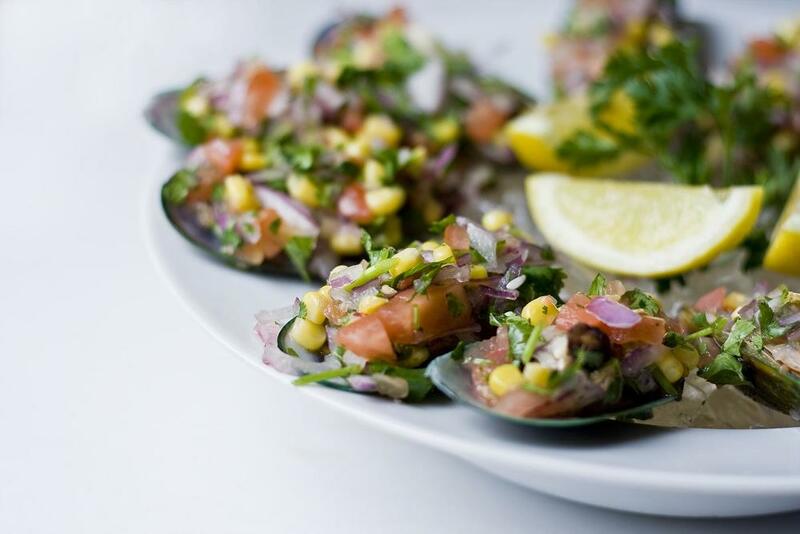 mussels on the half shell marinated with lemon juice, diced onions and tomatoes. peruvian corn with fresco cheese served with huancaina sauce. seafood soup with peruvian spicies, cliantro and beer. peruvian shrimp chowder with rice and milk. fish marinated in lime juice and peruvian chilies. fish, calamari, mussels and shrimp marinated in lime juice and peruvian chilies. shrimps marinated in lime juice and peruvian chilies. tilapia, shrimp and octopus marinated in lime juice and peruvian chilies. fried calamary, shrimp, fish and yucca served with salsa criolla. fried whole red snapper, served with rice and salad. tilapia, calamary and shrimp topped with an aji mirasol seafood sauce. sauteéd shrimp with garlic sauce, served with rice. strips of top sirloin sautéed with onions, tomatoes and french fries, served with white rice. strip of chicken breast sautéed with onions, tomatoes and french fries, served with white rice. beef or chicken peruvian fried rice. lamb shank stew made with aji panca, cilantro and beer. served with beans and rice. shredded chicken with cream sauce made with ground walnuts, milk, and parmesan cheese. served with rice. Chicken, rice and green peas cooked in cilantro and beer. top sirloin steak cooked on the grill serve with two sides. top sirloin steak cooked on the grill served with fried eggs, fries, fried plantains and rice. Grilled chicken breast serve with two sides. short ribs, top sirloin, beef heart, beef tripe and salads. mushrooms sautéed with onions, tomatoes and french fries, served with white rice. linguini in a pesto like sauce made with spinach, basil and fresco cheese with sauteed mushrooms. oven roasted 1/4 chicken served with fries and salad. grilled steak served with beans, rice and salad. grilled chicken breast served with beans, rice and salad. fried tilapia served with beans, rice and salad. rice pudding with coconuts and raisins.